Author alert! Jonathan Tropper‘s entertaining, easy-reading novels are funny, smart and relatable. The characters tend to be in their mid-30s, all dysfunctional for different reasons (think Tolstoy), and render flights and commutes tolerable without making you feel bad about yourself for reading chick lit. I hate chick lit. Behold, his canon—I starred my faves. **This is Where I Leave You: How can a family in mourning be so funny? I don’t know—but I laughed out loud and gave it to my dad. **The Book of Joe: One of his meatiest, it’s about an author returning to his hometown after 17 years. Strong themes of friendship, family and loss. Everything Changes: Our hero is engaged to be married but in love with someone else; his estranged dad suddenly drops back into his life. My sister read the entire thing on a three-hour flight. Plan B: His first book, and it shows. But I love seeing how he’s progressed over time. How to Talk to a Widower: Waiting for this to come at the library! Great NYC books I’ve recently found to be impactful, interesting or inspiring. By Nightfall by Michael Cunningham (2010): The husband of an artsy power couple falls for his wife’s little brother. Bright Lights, Big City by Jay McInerney (1984): Peon in publishing is left by his wife and gets swept up in vapid ’80s hedonism. The Submission by Amy Waldman (2011): The city freaks when the winning entry for the Ground Zero memorial is from a Muslim architect. Dancer from the Dance by Andrew Holleran (1978): Gay men search for love and acceptance on the ’70s circuit scene. Let the Great World Spin by Colum McCann (2009): Interweaving stories surround Phillipe Petit’s tightrope walk between the Twin Towers. Last Exit to Brooklyn by Hubert Selby, Jr. (1964): Heartbreakingly sad characters in lower class Brooklyn in the ’50s; taboo topics abound. The Emperor’s Children by Claire Messud (2006): Three privileged Manhattanites in their 30s struggle with unmet aspirations. I may be the last person on Earth to have picked up Tina Fey’s Bossypants, a quick, enjoyable read with plenty of sarcasm and self-deprecation. To fully appreciate it, it helps to know a bit about SNL, 30 Rock and/or NYC. (It is also useful to know who Alec Baldwin is. Oh, and some lady named Sarah Palin.) But lest you think it is merely about Tina’s ascent to TV success, there are also some endearing chapters about her don’t-eff-with-me dad, her honeymoon on a cruise ship that almost went up in flames and her completely justifiable annoyances with Teat Nazis. Published in April 2011, it’s still on the NYT Best Seller list. Just two good reads by successful women in the male-dominated field of comedy peppered with reflections on life and motherhood. Nerd alert! The NYPL rocks my world. This may seem basic, but the New York Public Library is one of the city’s most efficient, yet underutilized services. And it is totally free (and free of hassles). So if you’re not doing it, you either don’t like learning (dummy) or are rich enough to continuously buy new books (lucky)! Sign up for a free library card. (Get it delivered by mail, or pick up in person if you need to get your borrow on ASAP). Login and search for a book. Request it be delivered to any library branch in the city. With more than 80, there’s definitely one near your home/office/gym/therapist. Slowpokes can renew online (with some stipulations). Yes, I have heard of e-books. But not all titles available yet at NYPL. Visit its growing e-book collection. What if the winner of the competition to design the Ground Zero Memorial was a Muslim architect named Mohammad? In her debut novel The Submission, Amy Waldman plunges us into this scenario. It’s a terrifically realistic depiction of post- 9/11 New York, complete with bigotry, mistrust, fear and allegiance. Smart and multi-layered (art! journalism! group think! politics! ), it might call your own morality into question. I used to dislike collections of stories, preferring instead to immerse myself in orderly, chronological novels. But recently I’ve come to love literary snippets that interweave a common cast of characters. 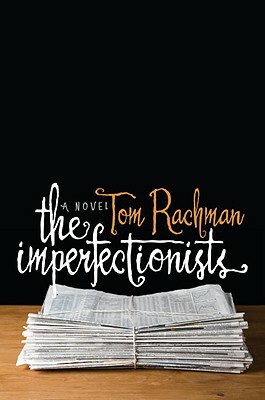 Two books that do it well: A Visit from the Goon Squad by Jennifer Egan and Tom Rachmann’s debut The Imperfectionists. 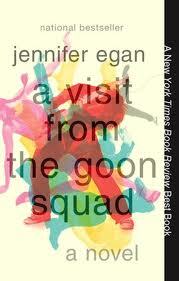 Goon Squad is set on both coasts of the U.S. and spans many years—including the post-punk ’80s. Music is the backdrop; themes include the quick passage of time and mistakes and missteps. Imperfectionists revolves around a fictional English-language newspaper in Rome, also spanning several generations and the characters’ lost loves and selves. You don’t need a journalism background to feel nostalgia for dying dailies and the reporters and editors who ran them. With short chapters, easy-to-digest storylines and lovably flawed characters, these perfect beach reads are FAR from chick-lit.